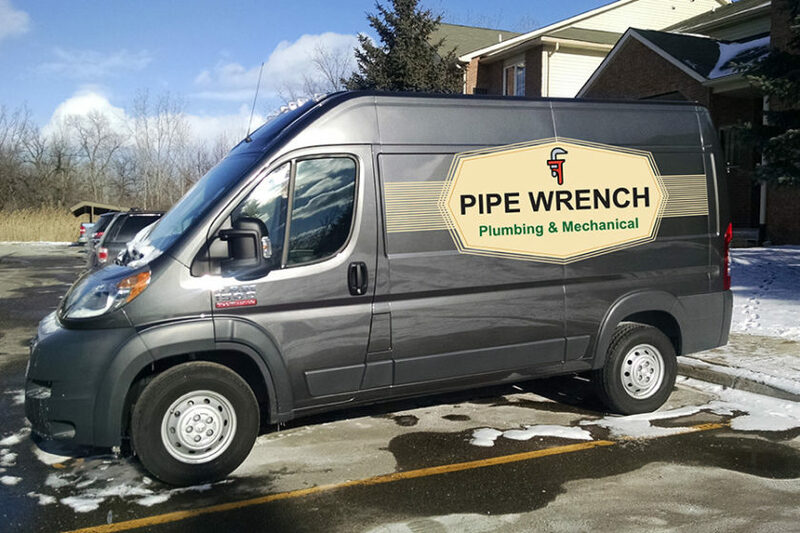 Pipe Wrench is a local plumbing & mechanical contractor based in Shelby Charter Township, MI 48316. We offer same day & emergency plumber services that are available with online scheduling or a phone call. After hours appointments and urgent repairs can be arraigned anytime upon client request. Our expert service technicians can handle all of your homes plumbing needs. Licensed & Insured. Drain clog removal & sewer snaking services are available to local area clients who are in urgent need of a plumber. A video camera inspection that evaluates the interior condition of a drain pipe can be performed upon request. Whether the sanitary sewer drain is backed up from tree roots or a clogged toilet needs to be augured, the drain cleaning experts from Pipe Wrench can snake the drains open again! Hot water heater installations are performed professionally according to the Michigan plumbing & mechanical codes. Our licensed master plumber will make any needed code upgrades to pass inspection and ensure a proper, leak free operation. Pipe Wrench’s mechanical contractor HVAC classification covers gas piping & venting for water heaters. Plumbers protect the health of the nation! Plumbing backflow prevention is an important aspect of being a professional plumber. Pipe Wrench is an ASSE 5110 certified backflow testing & repair service operating as a licensed plumbing contractor. We can test, repair, and file test reports with the local water authority. Pipe Wrench specializes in same day sump pump replacement. Our emergency plumber will clean out the sump pit and troubleshoot any plumbing problems. We encourage battery backup sump pumps with text notification alerts. We discourage water backup sump pumps because they pose a real & severe health hazard if not installed correctly! Gas piping & venting falls under the Michigan Mechanical Contractor classification of HVAC equipment. The plumbing & heating technicians at Pipe Wrench posses the skills and experience to run a new gas line to a stove or connect your new gas dryer. Emergency gas leak repair service is available. Call Now! Pipe Wrench specializes in “local same day service” for Shelby Township and the surrounding communities near me. Our service area includes Macomb Township and extends West to serve Rochester Hills. We proudly provide plumbing repairs for clients located in nearby Utica, Washington and as far north as Romeo. Pipe Wrench offers online appointment specific scheduling & popular product installations. We accept cash, credit, or check upon completion. ∗After hours appointments and Emergency service is available.